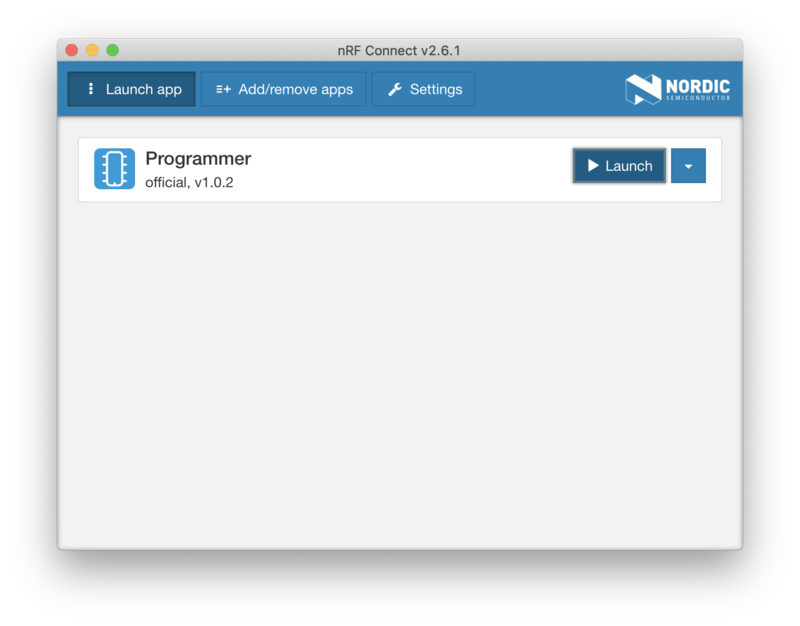 In the previous post (The nRF52840 USB Dongle Tutorial (Part 1)), we explored how to use the new nRF52840 USB Dongle to enable nRF Connect PC applications such as the Bluetooth Low Energy application (central and peripheral emulator), the nRF Cloud Gateway application, and the RSSI Viewer application. More importantly, we also talked about how the dongle can be used as a development kit (similar to the main nRF52840 development kit). The low price and small size of this dongle make it perfect for prototyping projects that require devices in a small form factor (e.g. large-scale Bluetooth mesh deployments). 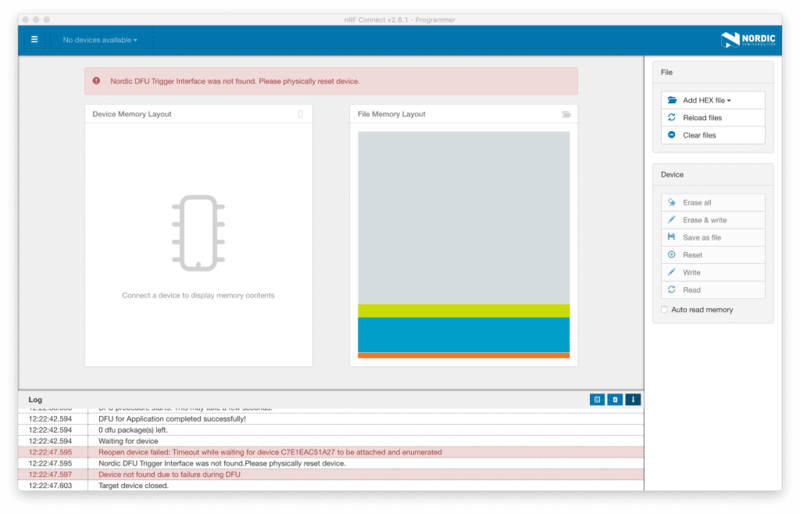 However, the dongle also has a few disadvantages compared to the fully-featured nRF52840 development kit. 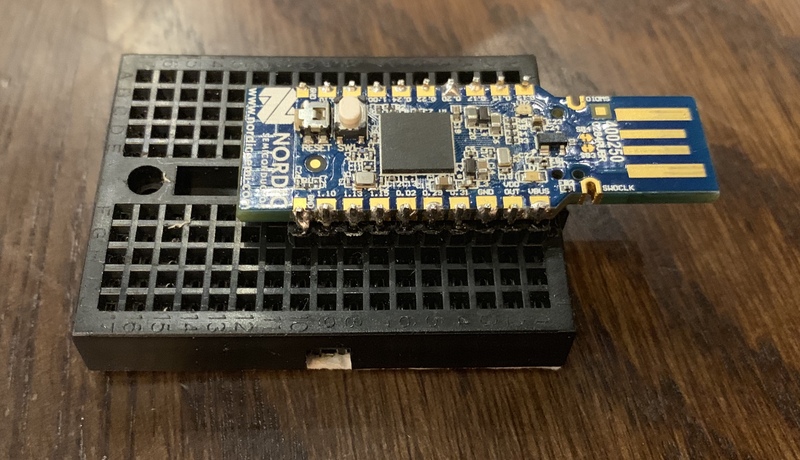 We’ll be going over the implementation of a simple BLE application using this dongle, and we’ll do this over a series of two posts. The project will implement a BLE Peripheral device that includes one external button and one external LED. We could’ve just used the built-in LEDs and button, but that would be no fun. 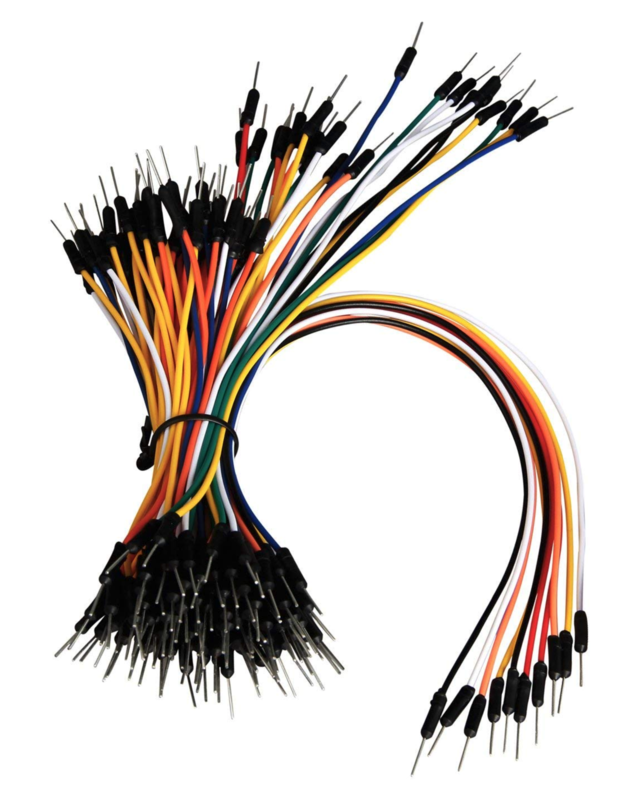 Besides, learning how to configure the GPIO will help us in the long-run for adding other sensors and I/O devices such as displays, temperature sensors and all sorts of other peripherals. 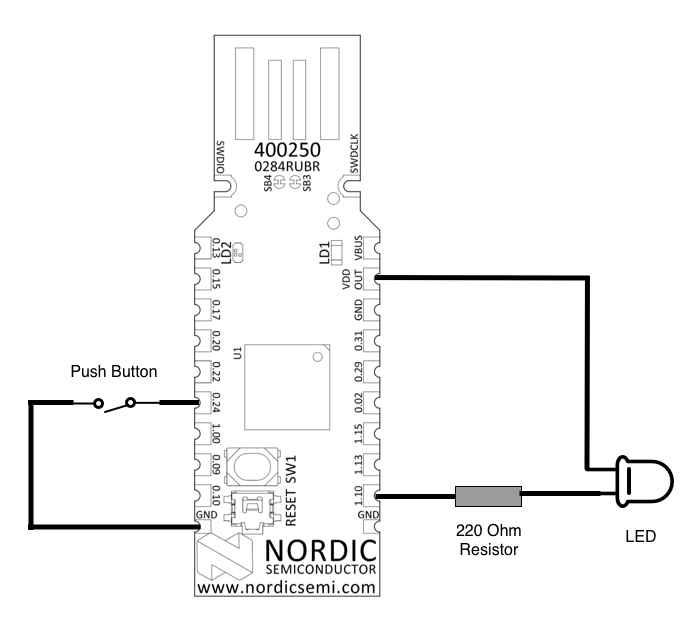 What project would you build using the nRF52840 USB dongle? Or maybe you’re already using it for a project? Let me know in the comments section below. For further details for steps 1 & 2, follow my previous tutorial here: The complete cross-platform nRF development tutorial. For step 3, refer back to part 1 of the nRF52840 USB dongle tutorial series: The nRF52840 USB Dongle Tutorial (Part 1). Step 3: Connect the LED as shown in the following picture. 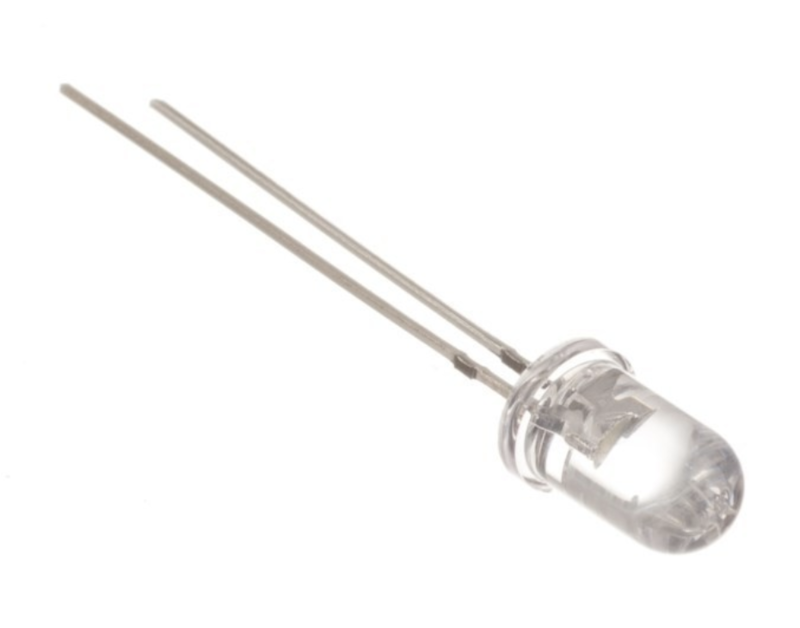 The LED’s anode pin (long leg) is connected to the resistor to VDD on the dongle, and the LED’s cathode node (short leg) is connected to Pin 1.10. Step 4: Connect the external button as shown in the following picture. 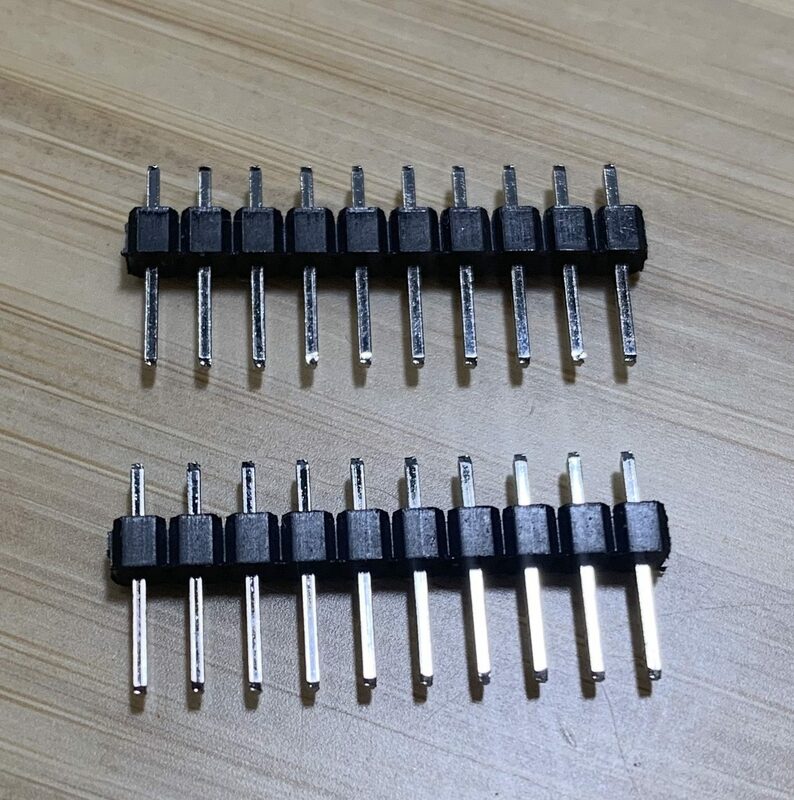 The button is connected to Pin 0.24 on one end and to GND on the other. The nRF52840 USB dongle obviously utilizes the nRF52840, but that doesn’t mean it’s identical to the nRF52840 development kit. 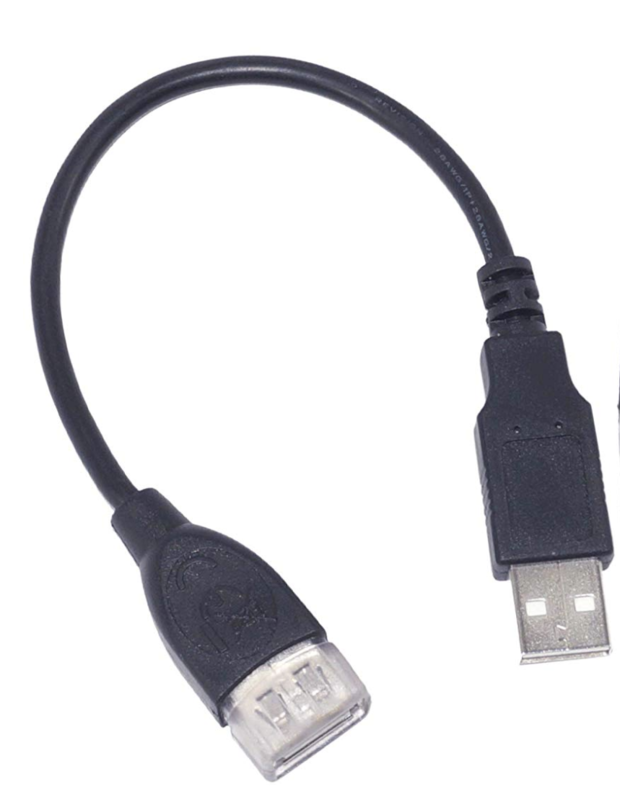 In order to build and run an example originally created for the development kit on the USB dongle, a few changes need to be made to the firmware and configuration. There are a few examples in the nRF5 SDK that have SES project files for the USB dongle (named PCA10059), but knowing which changes need to be made can help when creating your own examples from scratch or modifying an existing project to run on the USB dongle. 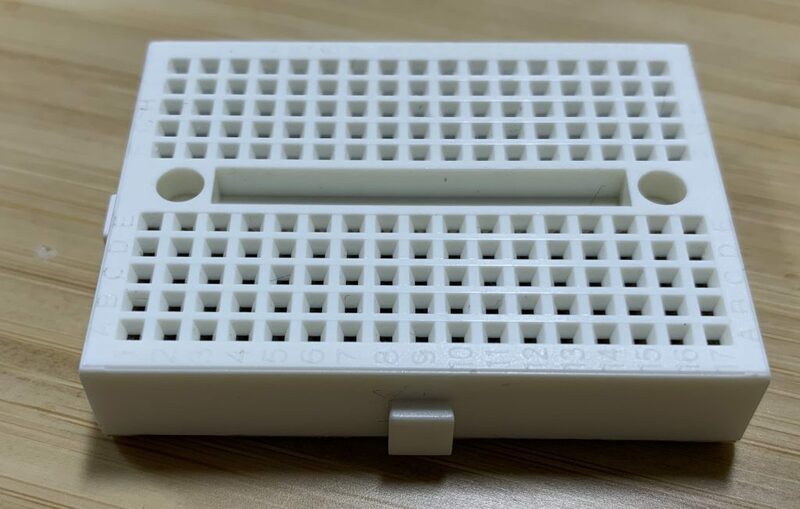 We’ll take the BLE template (PCA10056/nRF52840 development kit) example in the nRF5 SDK and use it as a base for our project. 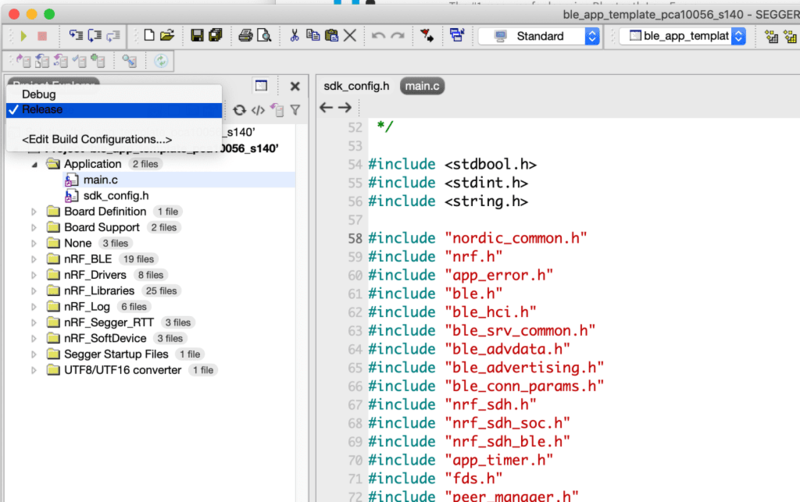 The example can be found at <SDK root>/examples/ble_peripheral/ble_app_template/. 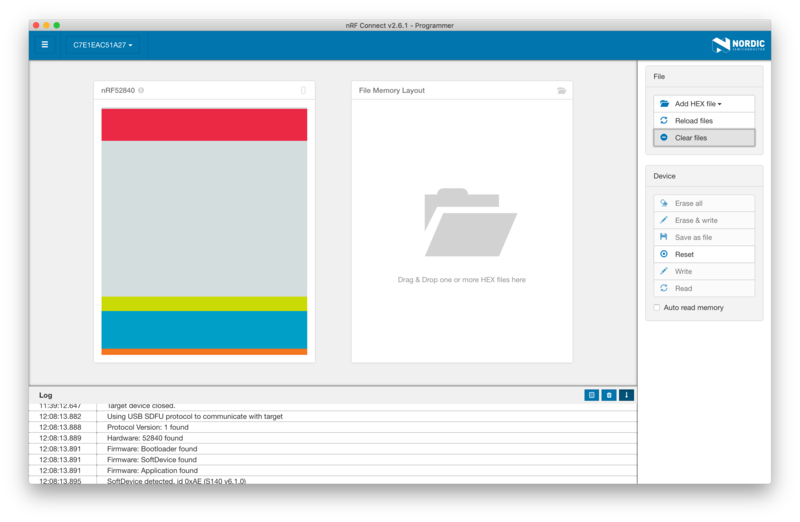 Step 1: Make a copy of the template example folder and name it appropriately (I named it “nRF52840_Dongle”). For now, we will just define the pins. 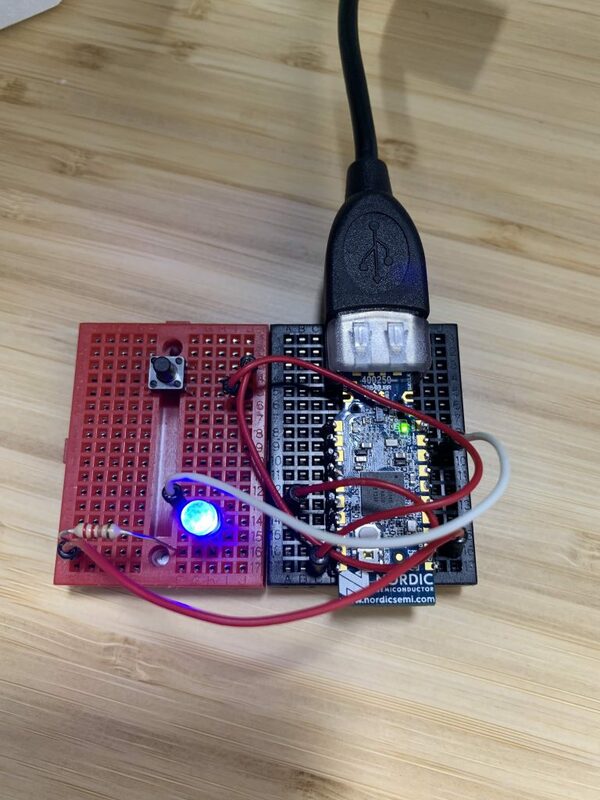 In the next tutorial, we’ll implement the full implementation code needed to initialize, trigger the LED, monitor the push button, and the remaining functionality of the application. It does not, however, implement any services and characteristics. 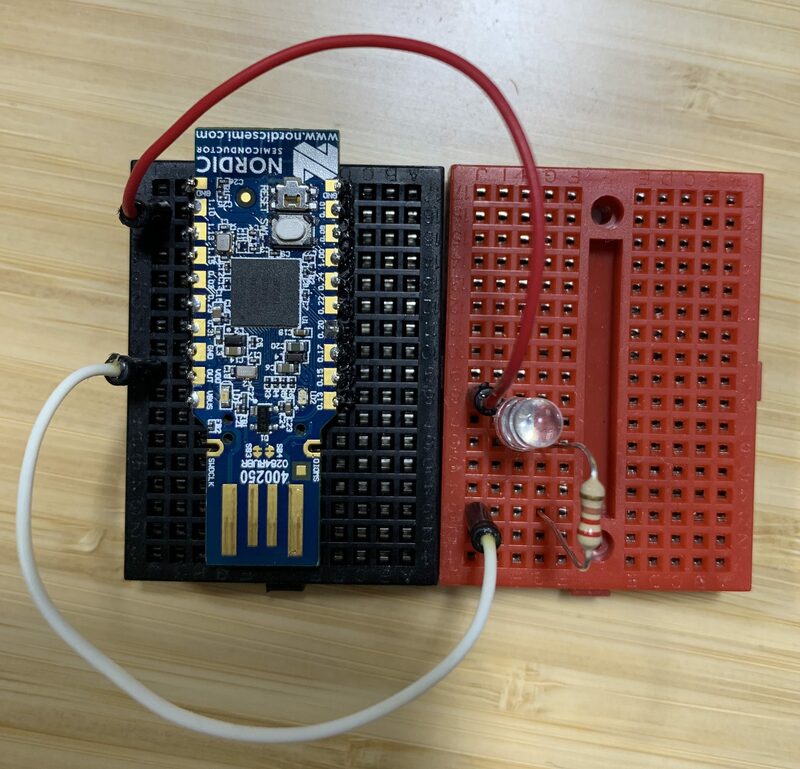 We can still test that it’s running correctly on the nRF52840 dongle by observing the green LED behavior and connecting to it from a BLE Central device (a BLE mobile app). First, build the example from within SES by right-clicking on the Project name in the Project Explorer window and choosing Build. Once the project is built, now we can go through the steps of flashing the binary to the dongle. Step 3: While connected to the PC, press the Reset button on the dongle to put it in DFU mode. LED 2 should start flashing Red. If you see multiple devices listed, disconnect any other development kits. 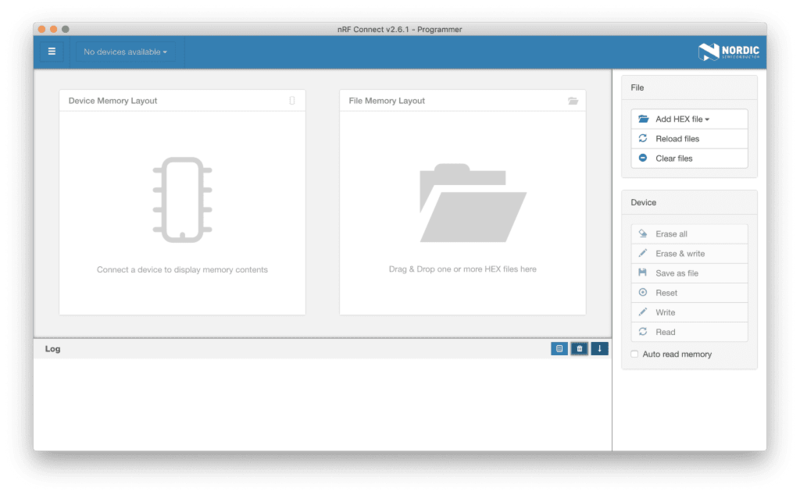 Step 5: Once you’ve selected the dongle, you should see the nRF52840 show up with the contents of its memory listed. 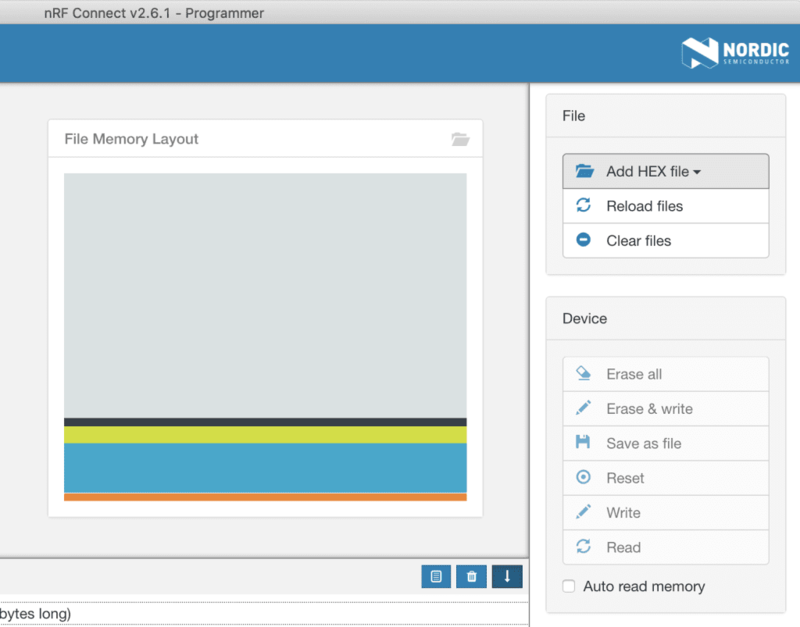 Step 7: Once you’ve added the files, you should now see the File Memory Layout show the loaded hex files. Step 8: The final step is to flash the dongle with the loaded files. You do this by pressing the Write button under Device. Once you select Write the left-hand side layout overview will indicate the dongle is being flashed. 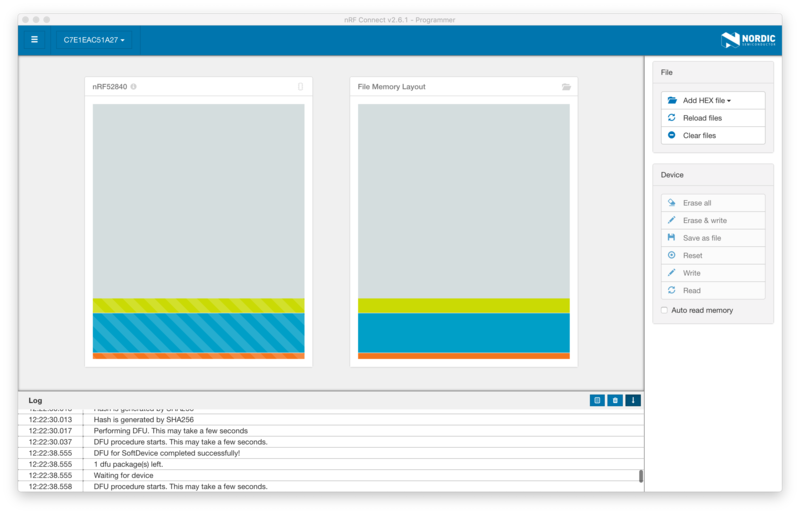 The log output will also show log messages. Once you flash it, the dongle will exit DFU mode, start the application, and will disappear from the device list and left view. 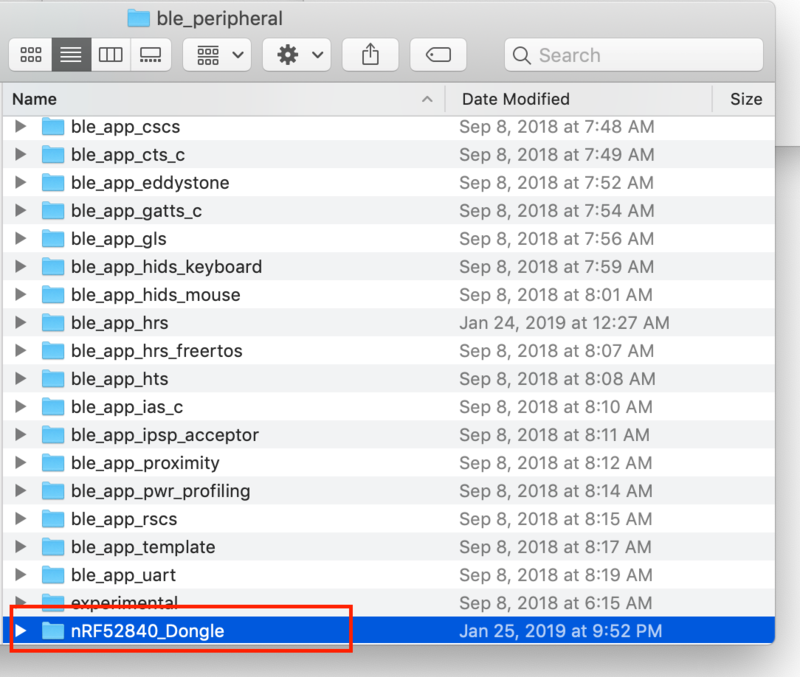 Note: remember that the nRF52840 USB Dongle does not have onboard debug capabilities, so I recommend that you verify your application as much as you can on the nRF52840 development kit before moving it over to the dongle. 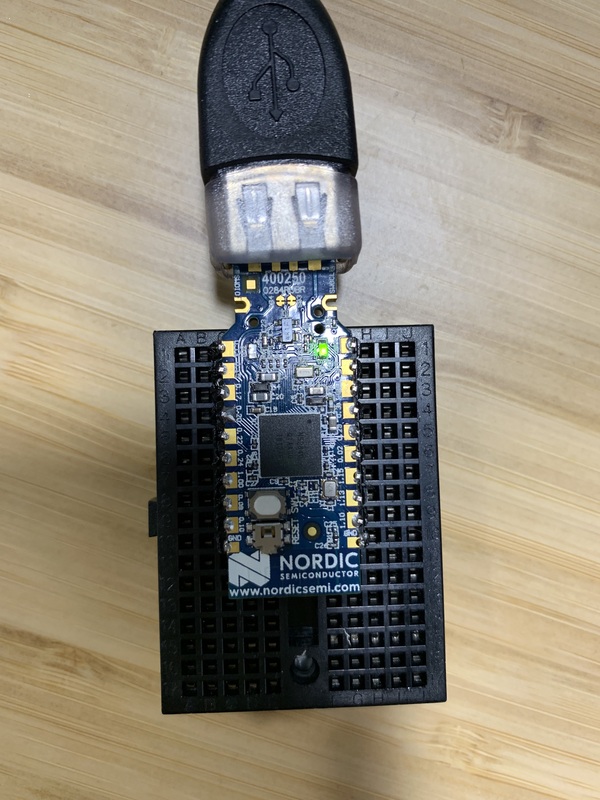 To test the functionality all we want to do is make sure the BLE peripheral can be discovered from a BLE scanning mobile app such as the Nordic nRF Connect (iOS, Android) or the LightBlue Explorer app (iOS, Android). After flashing the dongle and scanning from the mobile app, we can see that the advertising device shows up in the list. You should also see that the green LED (LED 1) is flashing while advertising. Once you connect to the device from the mobile app, you’ll see that LED 2 turns solid green. In the next tutorial, we’ll run more extensive testing once we’ve added our custom service and characteristics, LED control, button presses, etc. To download the source code for this post, and be notified when the next blog post publishes, be sure to enter your email address in the form below! If you would like to download the code used in this post, please enter your email address in the form below. 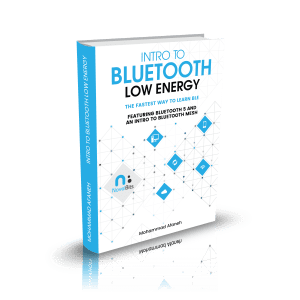 You’ll get a .zip containing all the source code, and I will also send you a FREE 9-page Report on the Essential Bluetooth Developer Tools. In addition to that, you will receive exclusive content, tips, and tricks that I don’t post to the blog!